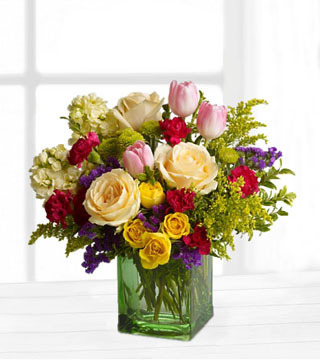 This Spring Tulip Bouquet by Better Homes & Gardens is a gorgeous arrangement of tulips is the perfect way to celebrate the arrival of the spring months! 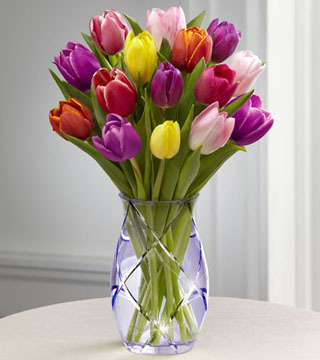 An assortment of fifteen tulips in a stunning array of colours, including red, yellow, purple and pink, are brought together to form an impressive and eye-catching bouquet. 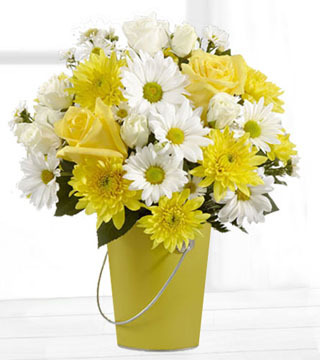 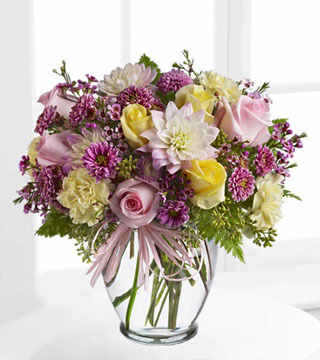 Presented in a designer etched lavender glass vase, this flower arrangement is a wonderful gift to send your happy birthday wishes, offer your congratulations or to say thank you throughout the spring months ahead.